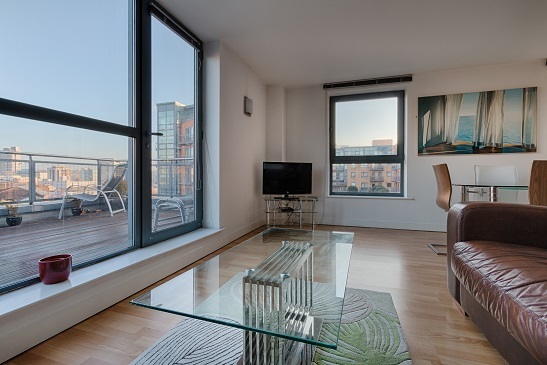 Book with Halo in Serviced Apartments throughout the UK! HALO Furnished Apartments in Sheffield provides a comfortable, homely self catering Sheffield hotel alternative when visiting the South Yorkshire area – at a fraction of the cost! 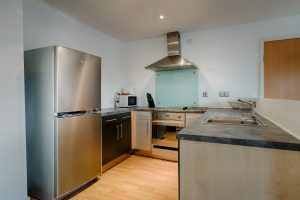 All apartments are fully fitted and equipped, providing cost effective solutions for short term lets and self catering accommodation for business travel Sheffield. All of our locations are ideally suited for both business travel and holiday lettings Sheffield. Corporate clients will be granted their own account manager and dedicated number for fast and efficient bookings. Each apartment has a fully equipped kitchen with a washer/dryer and microwave. The living area of each apartment features a flat screen TV with Freeview and a DVD player. All apartments have free wireless internet. Halo Serviced Apartments also provides a weekly cleaning service with clean towels and fresh linen. Additional cleaning can be arranged at an additional charge. All apartments are located within walking distance of the city centre with a multitude of bars, restaurants, shops & theatres on your doorstep with easy access to Sheffield Parkway. All Halo Apartments locations are centrally located in Sheffield City Centre, are fully fitted and equipped for business and leisure travellers alike. Corporate clients will have their own account manager and dedicated number for fast and efficient bookings. This short stay accommodation provides greater space at a lower cost than hotel of similar location and standard. The serviced apartment furnished rentals come with a whole range of extra services making them the ideal alternative to hotel stays. The extended stay apart-hotel style accommodation is very suitable for holiday lettings and holiday rentals in Sheffield. Sheffield is also the greenest city in the UK, with many hills and parklands and is situated on the edge of the beautiful Peak District National Park. It has more than 200 woodlands, parks or gardens within its limits. It has many internationally renowned stately homes within easy reach from the centre such as Chatsworth and Hardwick Hall. With the Peak District only a short drive out of the city, a national park that attracts many visitors to the area. Sheffield is a perfect place for visitors to enjoy the best of both worlds. The city centre has an excellent diversity of shops, ranging from well known department stores and high street stores, to designer shops and boutiques. If you are planning to enjoy Sheffield’s great nightlife you need to venture in to the heart of the Devonshire Quarter, with entertainment, bars and restaurants, serving fantastic food from around the world. With its rich cultural heritage, the many art galleries and museums are not to be missed, from the Millennium Galleries to Abbeydale Industrial Hamlet. Sheffield has the largest theatre complex outside London including the world famous Crucible Theatre, the Studio and Lyceum, which host original productions, West End shows and music concerts, as well as the glamorous City Hall which is Yorkshire’s premier concert venue, and has recently undergone a twelve million pound refurbishment, restoring it to its former glory. Sheffield has many leisure opportunities including an Olympic size swimming pool, leisure pools with waterslides (Ponds Forge). Our 1 and 2 bedroom apartments are located in a quiet, modern development only half a mile away from the city centre providing corporate serviced accommodation. Halo The Gateway Serviced Apartments Leeds are modern with a stylish interior and have fully equipped kitchens with fridge/freezer, washer/dryer and dishwashers . All of the apartments have double beds. The 2 bedroom apartments have one main bathroom and an en suite to the master bedroom. The living areas include a flat screen tv with free view and dvd players. Wireless internet access is included free of charge. Parking is also available subject to availability. The Gateway is situated just off the A61 in Leeds city centre. It is a 10 minute walk away from the new Trinity shopping mall and a host of other shops and bars. There are several concert venues nearby including the First Direct Arena and the o2 Academy.